The reissue of the CH22 chair has been finished exactly to the original designs by Hans J. Wegner from the year 1950 and delights with its minimalist appearance. 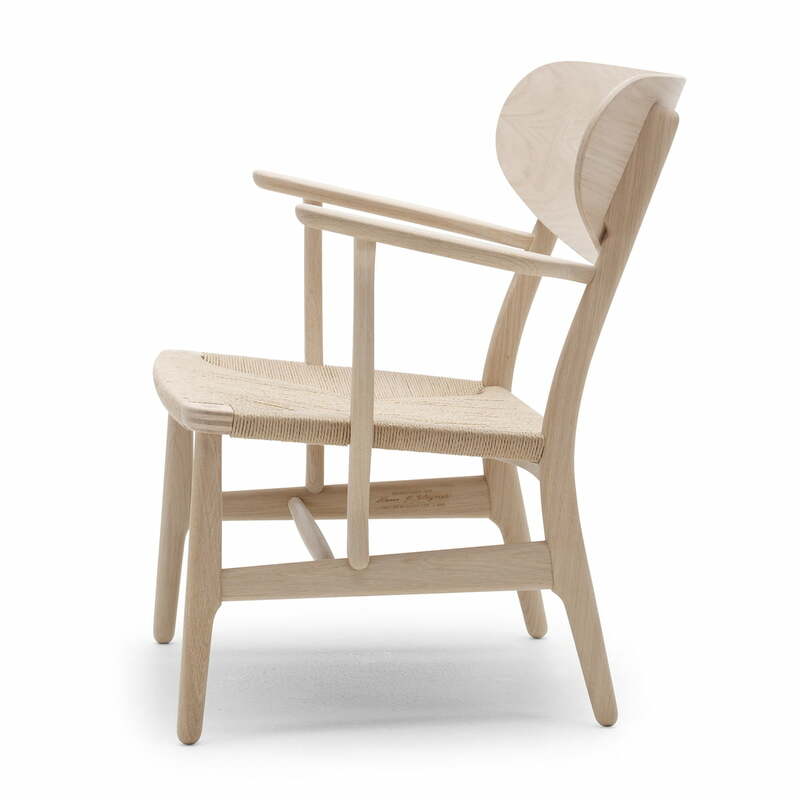 The combination of high quality materials and first class craftsmanship makes the CH22 chair a special piece with a haptic quality. 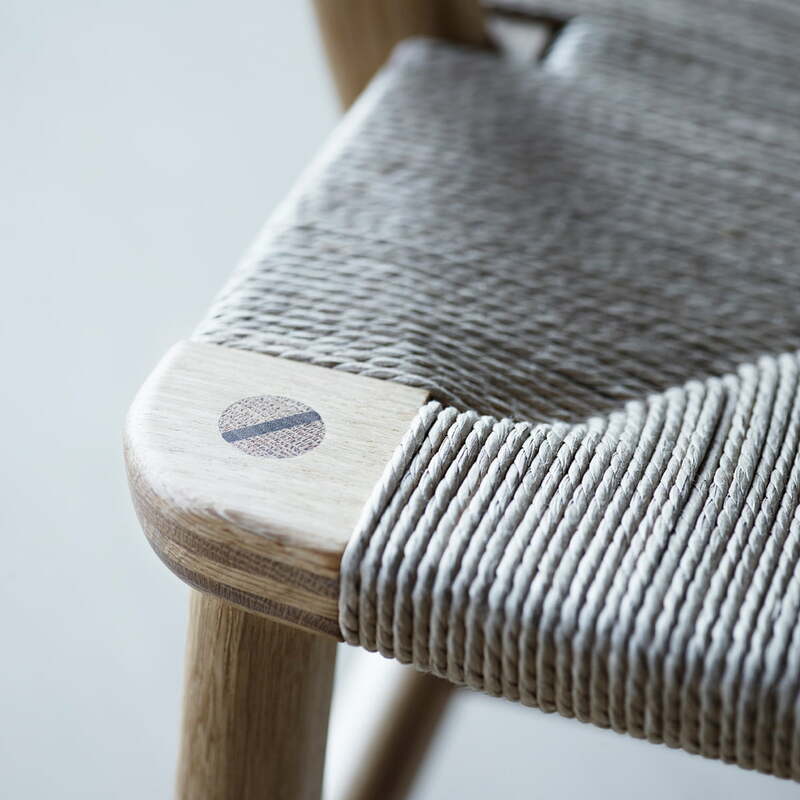 Executed by the finest craftsmanship, sensual details such as the box joint frame of the seat, the wedge elements between the chair legs and back and arm rests, and the paper yarn braided seating surface, all work to create a unique feeling of finery and high quality craftsmanship, which are united in the design of the CH22. 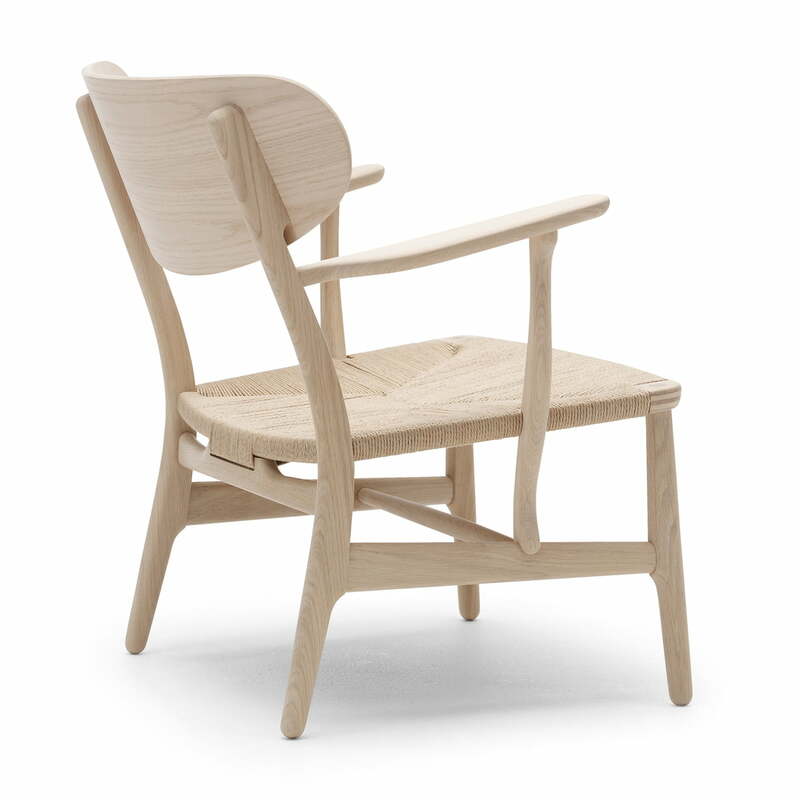 Although certain aspects of the production process have been modernised, the armchair is nonetheless produced in the same manner as it was in 1950: from the assembly of the frame, the surface treatment, all the way through to the braiding of the seat, the CH22 is finished by hand by highly specialised artisans. 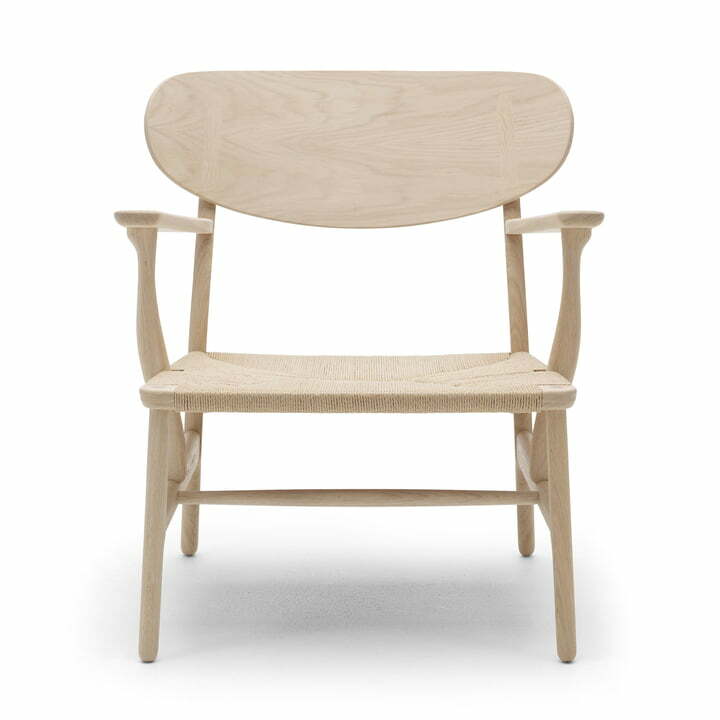 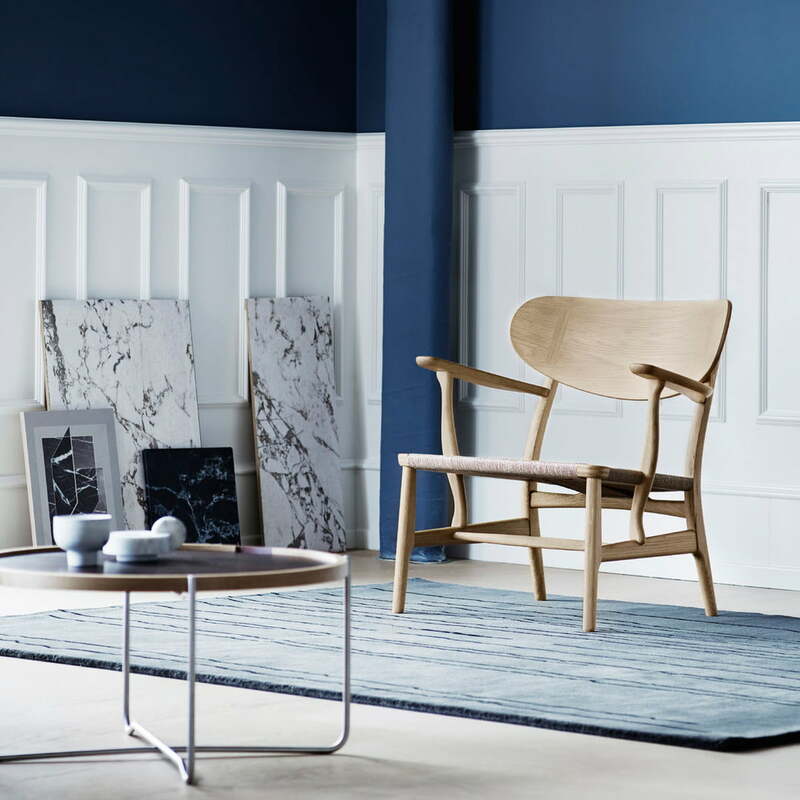 The CH22 chair from Carl Hansen is available in a variety of designs: In oak or walnut, or in a combination of both wood types, and with the paper yarn braided seat in either natural or black. 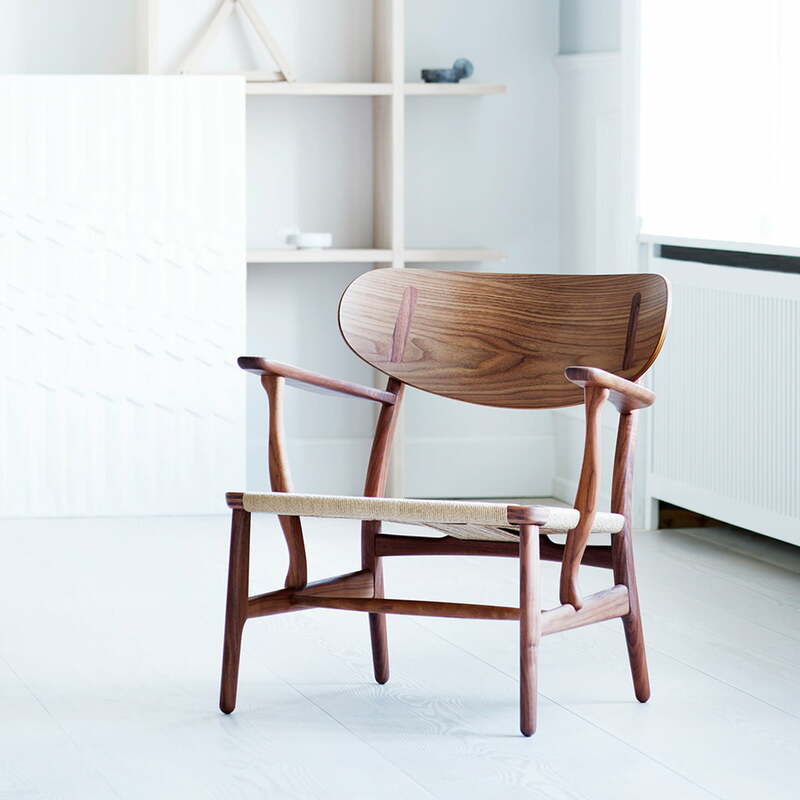 The classic wooden chair is multifaceted and classic at the same time, meaning it fits harmoniously into many diverse interiors.